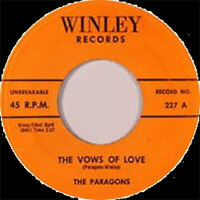 Groupe Doo Wop originaire de Brooklyn, les Paragons étaient composés de Julius McMichael (25 November 1935, d. June 1981), Ben Frazier, Donald Travis, Ricky Jackson et Al Brown. 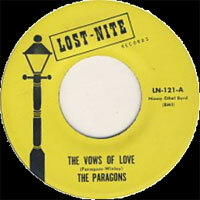 Founded in Brooklyn, NY, the Paragons were a black Vocals harmony quintet signed to the New York-based Winley label, which was also home to the Jesters ("The Wind"). 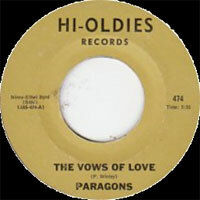 Julius McMichael (lead), Ben Frazier (first tenor), Donald Travis (second tenor), Ricky Jackson (baritone), and Al Brown (bass) had a distinctive sound with McMichael's high tenor voice as the lead, very much defining this distinctly New York-centered doo wop sound. 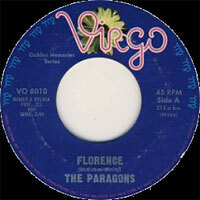 They began their recording career for Winley with the single "Florence" b/w "Hey Little School Girl," which was released in early 1957 and was a regional hit. 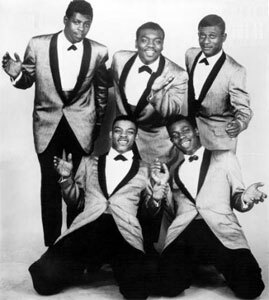 Julius McMichael lasted through three more notable singles, "Let's Start," "Twilight," and "So You Will Know," all of which did well without ever charting nationally, before he exited the lineup to become a member of the Olympics. 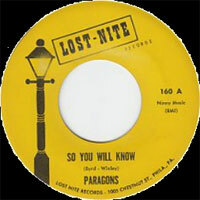 His replacement in the Paragons' lineup was Bill Witt. 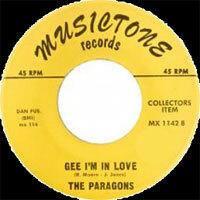 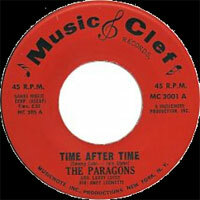 The Paragons endured into the early '60s with more lineup changes and label changes as well, to Musicraft and then to Tap. 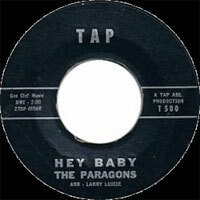 They lucked out with Tap right out of the starting gate when their first single for the new label, "If," charted, which prompted Winley, their original label, to release more material that it was holding on the quintet. 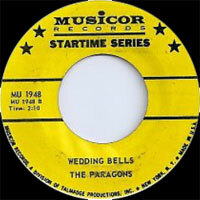 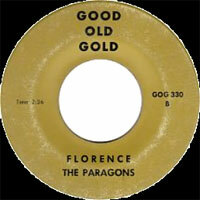 The group's success on the charts in the early '60s seemed to presage their subsequent history -- the Paragons remained active throughout the 1960s, right into the rock & roll revival, where new audiences, consisting both of old fans of '50s music and new appreciators of harmony Vocals groups, discovered the work of this fine, enduring group and boosted their listenership. 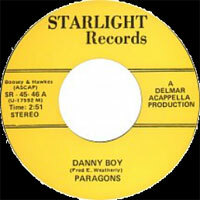 In more recent years, the group have recorded new versions of their classic material, and continue to play to audiences at rock & roll revival shows.